No more wasting paper. 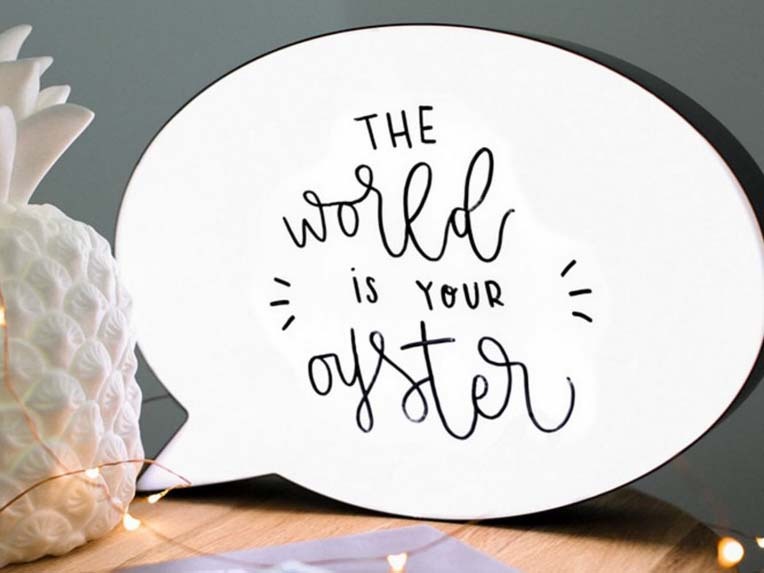 From now on, you can jot down all your brilliant ideas, sweet messages and funny scribbles on a real-life speech bubble! 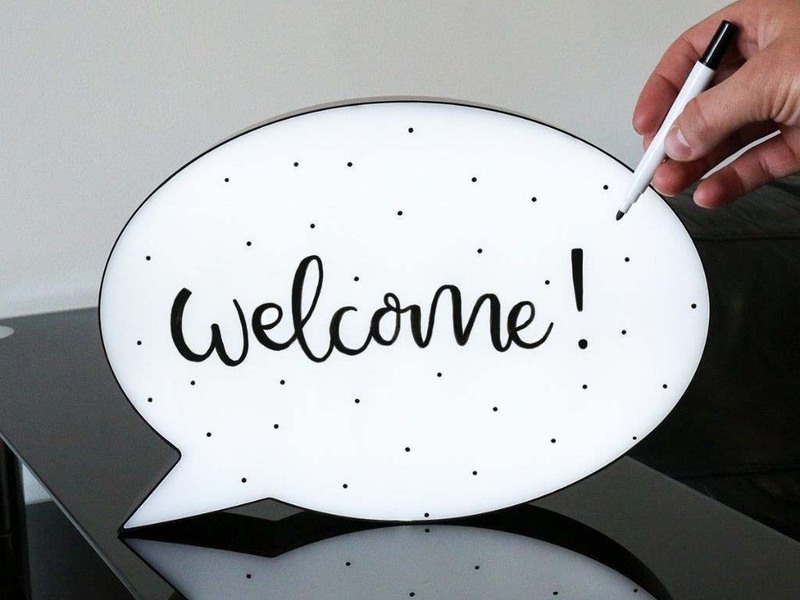 The bubble works just like a whiteboard: use the included black, red or blue marker to write or draw on the white surface. And if you need a blank slate, just use a soft cloth to wipe the bubble clean. And to high-light your message even more, you can - well - high-light your message! The built-in LED lights create a pleasant, white glow that makes this fun gadget also an original lamp. 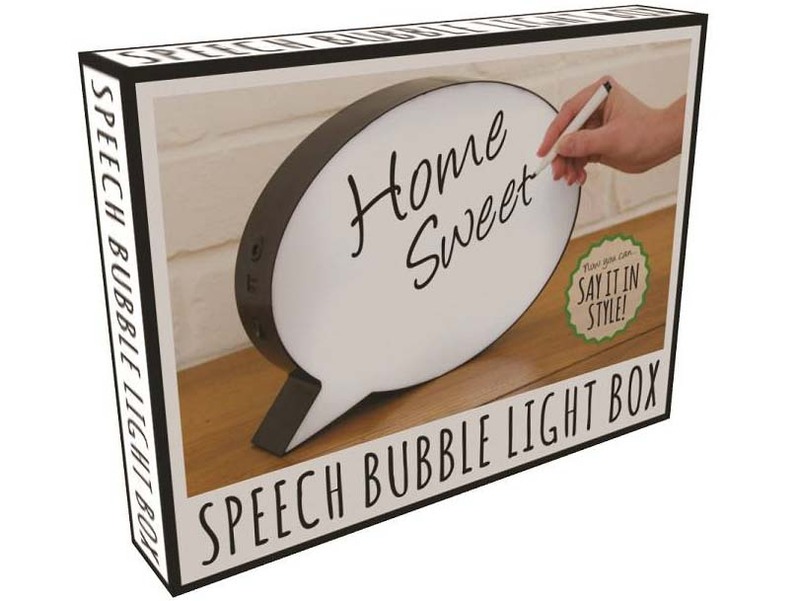 The perfect solution for non-verbal communication in the kitchen, game room or at the office. And also quite useful for adding live comments to your selfies!